Directions for Use- Take the required amount of the shampoo and massage into wet hair and scalp; rinse thoroughly with lukewarm water. Repeat application if required. Use the shampoo regularly to keep your hair looking and feeling great. 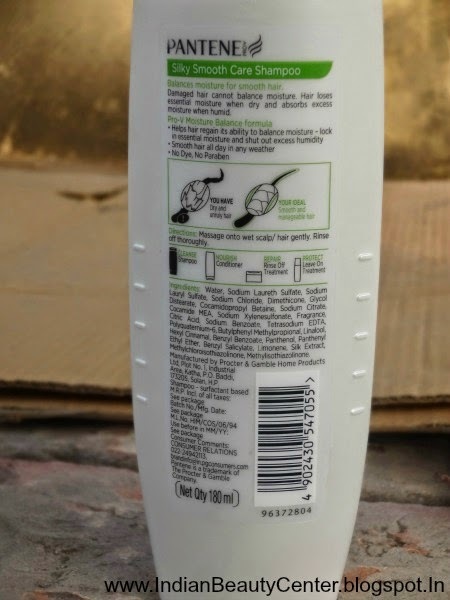 This shampoo comes in a plastic bottle with all information stuck on it. The cap is golden in color but is not sturdy. Packaging kind of looks cheap. The consistency is not too thick but very slightly runny. It smells kind of floral but slightly chemical, however, I like the fragrance. The fragrance lingers on for a while on my hair and that feels great as my hair smells nice. The shampoo is plain white in color and comes out as a thin stream from the big hole for dispensing the product. I don't think this will suit my hair .. Sounds pretty average. I guess I am going to give this one a miss. Not a great one, will skip it. Nice review!!! I like your blog!